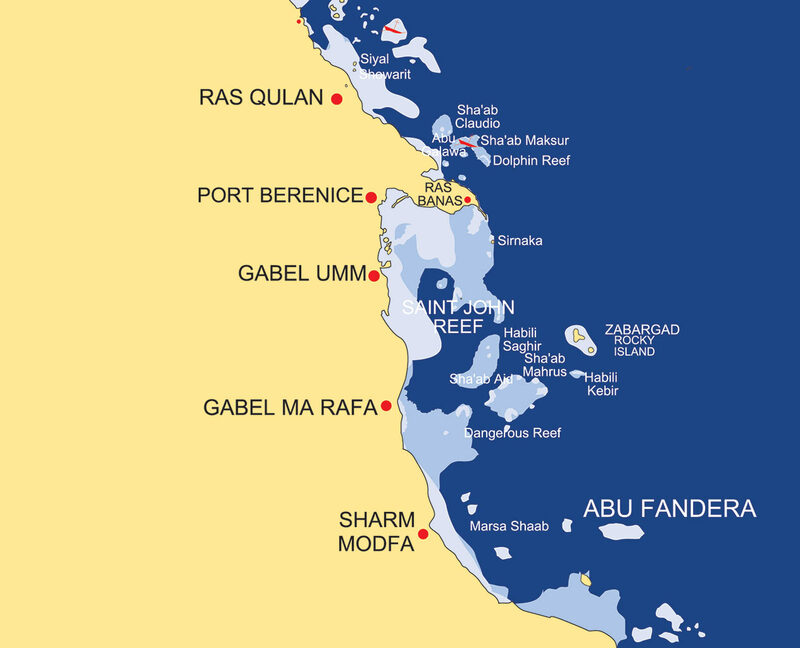 In the deep south of the Red Sea we find the St.Johns reefs. Big Habili and Small Habili with their fantastic drop offs overgrown with big gorginias and colorful bright soft corals promise you to be a fantastic dive. 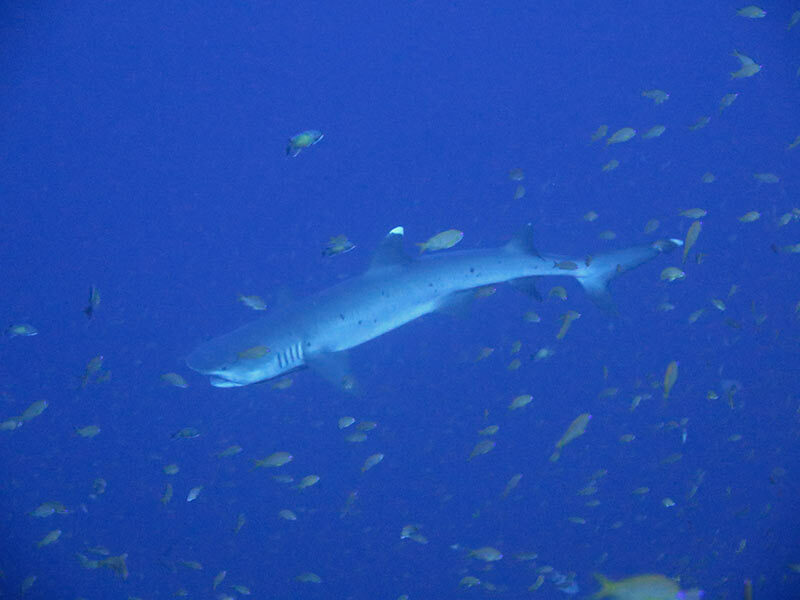 You find a lot of marine life at the reef itself and as well in the blue you may see barracudas, different sharks, sometimes dolphins or manta passing by. Umm Erug seems to be the place of unusual coral blocks. Next to the main reef in a depth of 12m to 30m you find many different block formations who remind you of everyday life`s figures. Schools of small reef fishes, camouflage artists and small critters you can explore. Around two hours drive to the north there is the area of St.Johns Cave. The name cave is program and Umm Hararim impresses of its unique cave and canyon system. The main reef surrounded by a beautiful hard coral garden is on its south-west side full of holes like a Swiss cheese. In shallow water you can dive through the open passages to see the light show of the sun and the nice soft corals growing inside. On the way up to the north you pass by Sataya, Hamata and Marsa Alam area. Different divesides invite the divers to have great dives. Shaab Claudio makes fun! 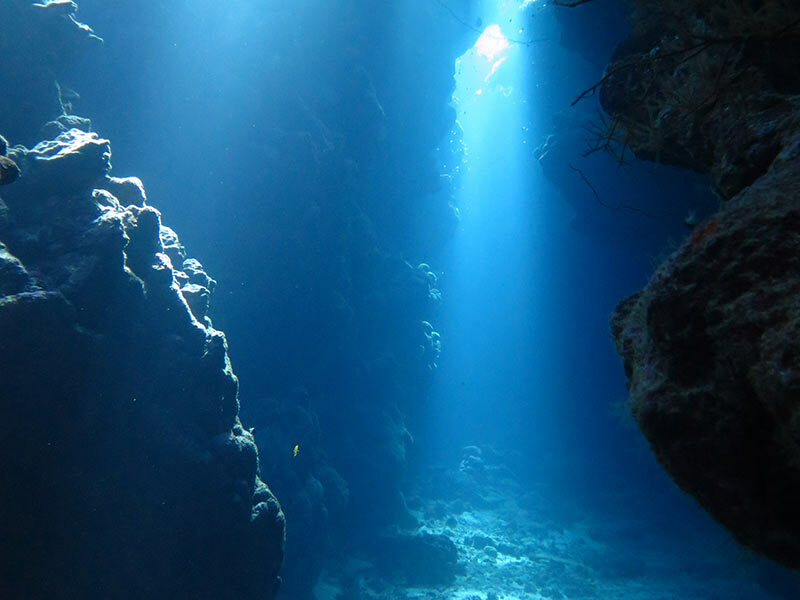 There you have caves, canyons, openings and passages in 5m to 16m depth. It´s easy to dive and full of marine life. Close to Shaab Claudio there is El Malahi, the children’s playground. The single coral towers stay close to each other overgrown with hard corals and invite to cruise around to discover the small overhangs and passages. Blue fusiliers and other reef fishes stay around the blocks in the sunlight. In Abu Galawa Soraya there is a small wreck, a sailing boat sank in the 80th and it´s full of soft corals and the home of many glass fishes. On the north side you can dive over fantastic hard coral formations and enter through into a theatre with sandy bottom and the walls around are colorful hard coral blocks with many murder mussels in different sizes. South of Marsa Alam, in the area of Wadi Gimal there is Shaab Sharm. A huge reef with colorful overgrown drop offs on the north and north west side and a gorgoniawall between 17 and 22m in the east direction. The plateau on the east side, starting from 18m to 32m depth, with its coral block formations is the home of a lot of marine life. Doctor fishes, different kinds of reef fishes, napoleons and small critters – very often you see a turtle eating and resting. The plateau continues small along the south side of the main reef. 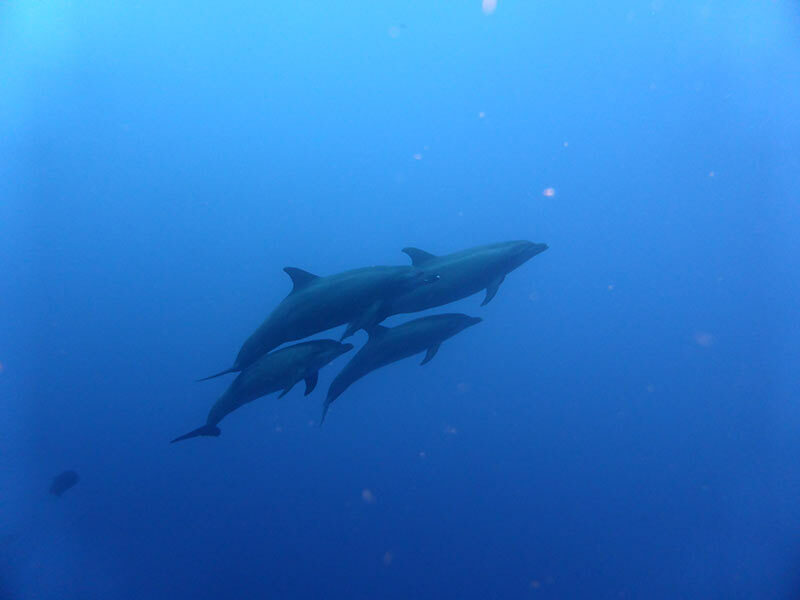 Dolphins, sharks and mantas patrol along the reef in the blue.